This small church, named after a famous saint, has been used for worship by generations of villagers. The graveyard is full of their ancestors, with the more noble members of the community buried in the crypt. The living fill the pews, worshipping in the simple but pleasant church. 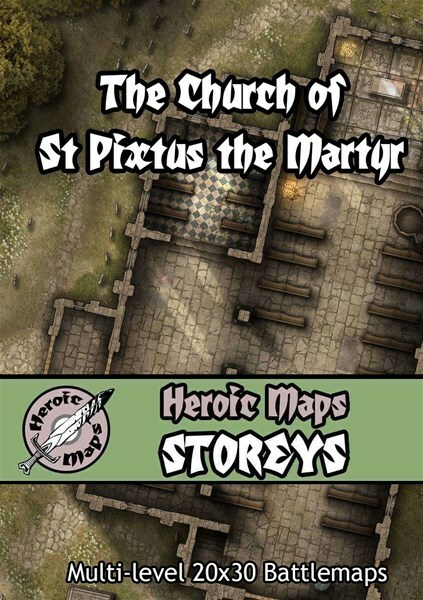 Storeys: The Church of St Pixtus the Martyr is a printable battlemap compatible with any RPG/Dungeon-Crawl game. 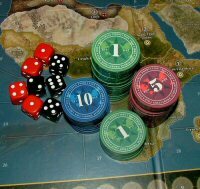 Use as a standalone game board, or combine with any same-scale tile set.